Wake Up Call! 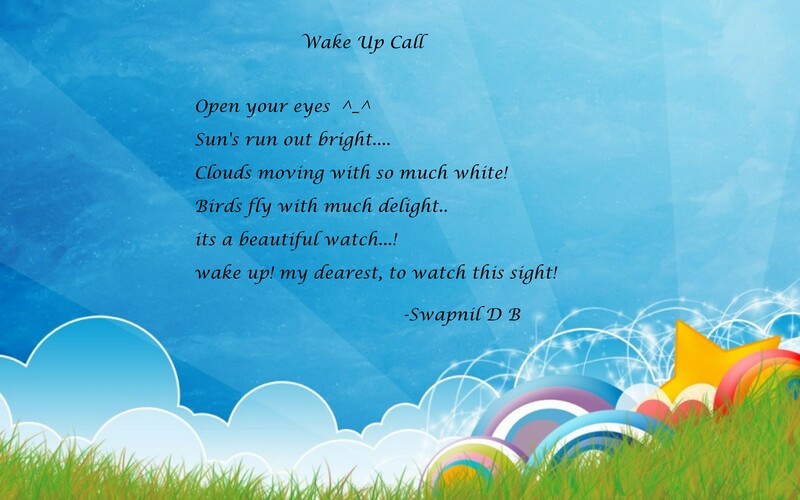 | Diaries of Swapnil. Asking people to wake up to this reality that the world IS beautiful! For all those who think its not like that, its a wake up call for them!